Navarre Beach is across the Sound and to the south of the Navarre mainland. Just east of Pensacola, the beach was the site of several movies. A popular destination here is the Navarre Pier. Completed in 2010, it extends over a quarter mile into the Gulf. Beach vacation condos are a hot investment here. Other types of property include beach houses and waterfront real estate. Navarre Towers - This beautiful gated condominium is located directly on the beach and has an impressive list of amenities. 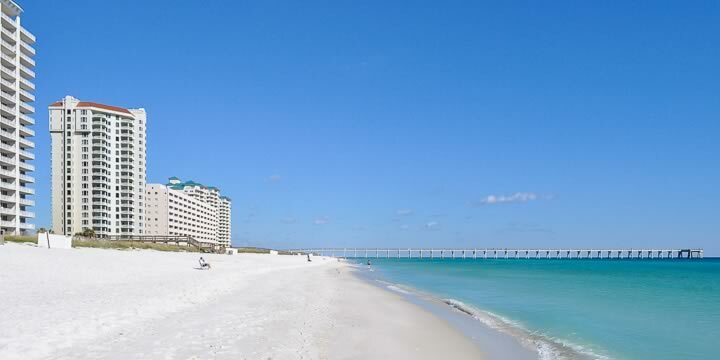 Beach Colony Resort - Beach Colony is one of the newer condominiums in Navarre Beach, with two 19-story towers that offer two and three-bedroom luxury condo units. Caribbean Resort - This condominium exclusively offers three bedroom units that are desirable because of their favorable location and terrific price. 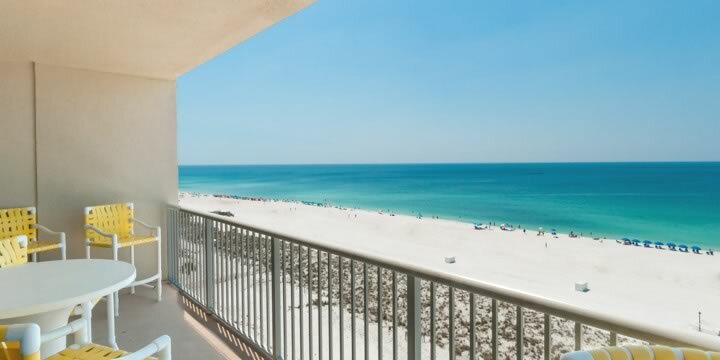 Summerwind - Gulf front condos that have balconies with spectacular beach views. Located adjacent to Navarre Pier and Navarre State Beach. Belle Mer - This gorgeous Navarre Beach condominium has two, three, four and five bedroom units with grand views of the Gulf. Sunset Harbour - Clubhouse, pool, and parking. One, two and three bedroom condos have views overlooking the beach. Gulf Island - Looking for an affordable price? Gulf Island offers one, two and three bedroom units that are across the street from the beach. Owners here have access to private parking and a large pool. Condos can offer secure access for owners that include coded gates, doors and elevators, front desk, and guards or special staff. Many complexes typically provide a variety of services and amenities, from fitness rooms, sauna, pools, restaurant, storage space, beach access and boat dock. Contact Emerald Coast Realty if you would like to schedule a tour of these beautiful units, 850-437-5618.